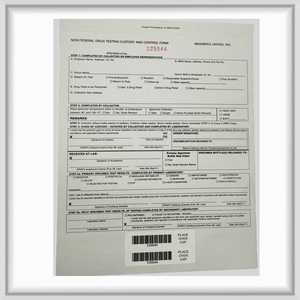 The Non-Federal Drug Testing Custody and Control form is used to document the management and storage of a specimen from the moment a donor gives the specimen to the collector to the final destination of the specimen. The form is widely used by both private & public companies & federal government facilities. The drug test specimen must be collected using a chain-of-custody form if the sample has to be sent to a laboratory.